2003 Sexauer Dreadnaught guitar made from HRW and Adi. 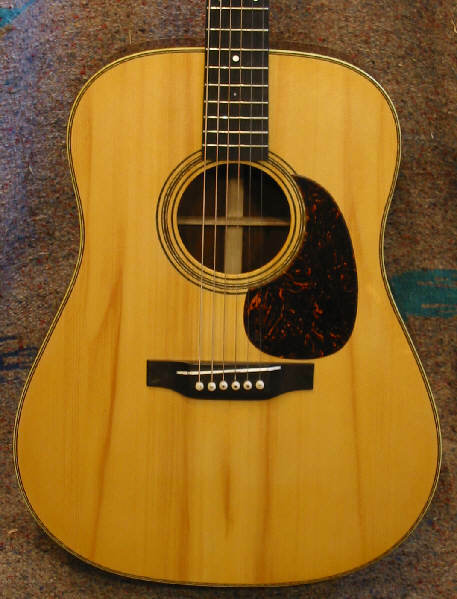 This is Bruce Sexauer's 2003 "D'Grail"
This is my take on the pre-war Martin-style 28 dreadnaught. 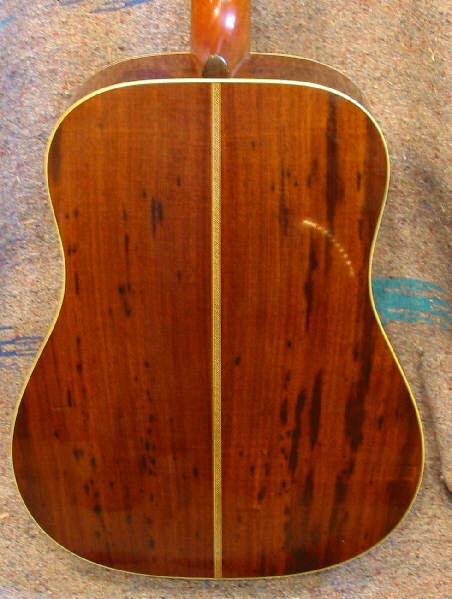 Adirondack Spruce top/Honduras Rosewood back and sides/Braz. faceplate/Ivoroid binding. 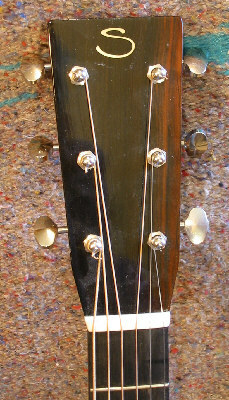 The through saddle is an illusion, and actually has a removable section to allow modern pick up installation. This guitar is unavailable except as inspiration for something similar.